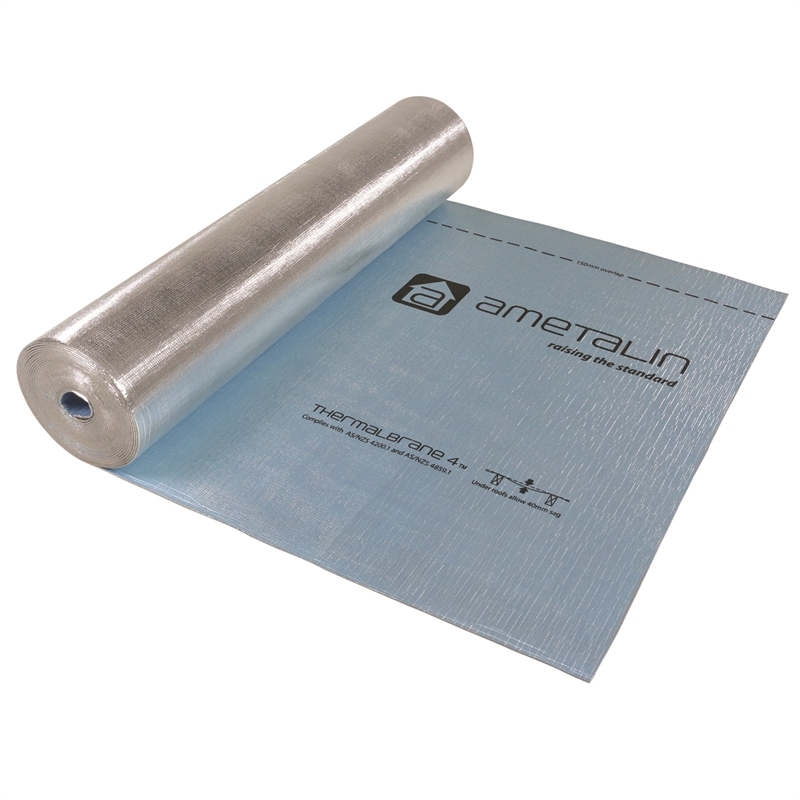 Ametalin ThermalBrane 4™ is an extra heavy duty three-in-one reflective insulation, thermal break and medium vapour barrier, made with high-density XPE 4mm foam between two reflective foil layers. 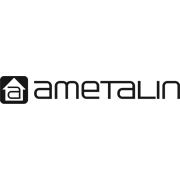 A thermal break of R0.1 makes it suitable for use in all roof and wall types, except steel frame constructions where a thermal break of R0.2 is required by the NCC/BCA (for steel frames, use Ametalin ThermalBreak 8™). 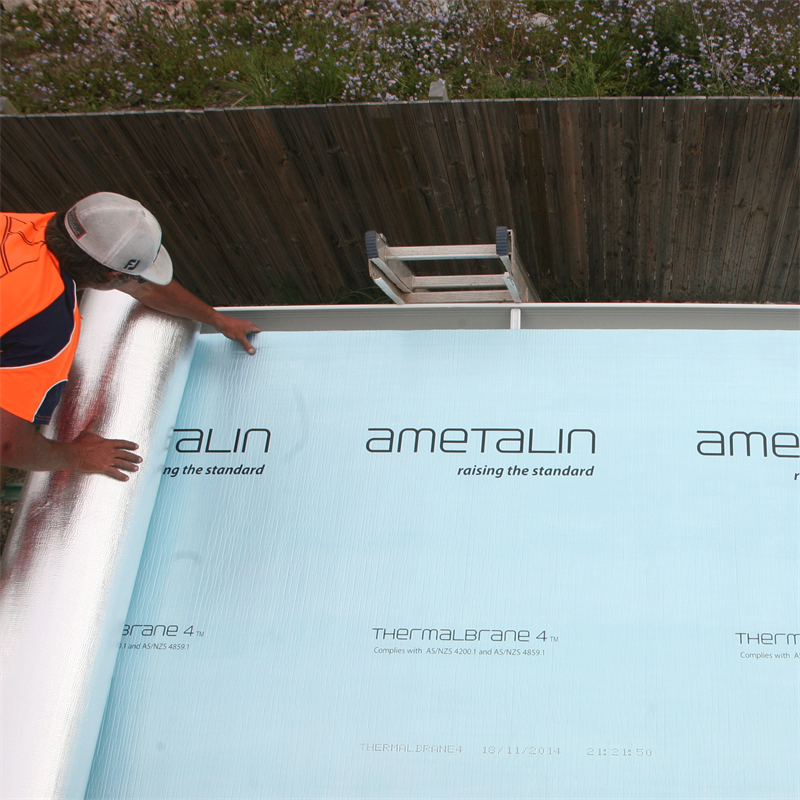 Ametalin ThermalBrane 4™ is the economical choice for superior thermal protection, and is ideal for use in residential homes and commercial sheds. The reflective foil surfaces keep buildings cool in summer and warm in winter, saving energy.